I’m playing with Voyant to make word clouds and analyze some text. Here is a simple cloud of all the words in the complete collection of 85 Federalist Papers. Lots of examples from specific papers are here. 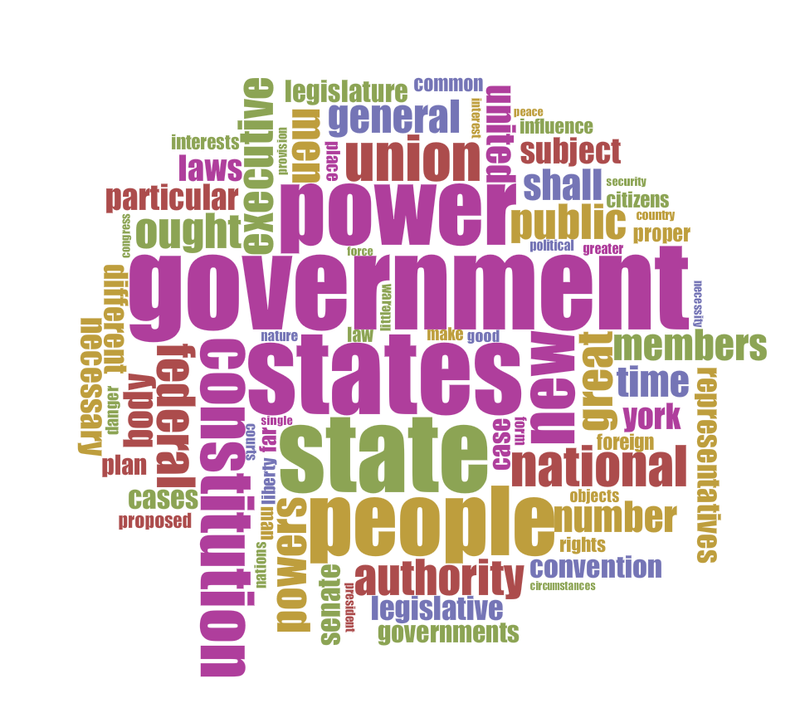 Top words: state/states, government, power, people. No surprise. 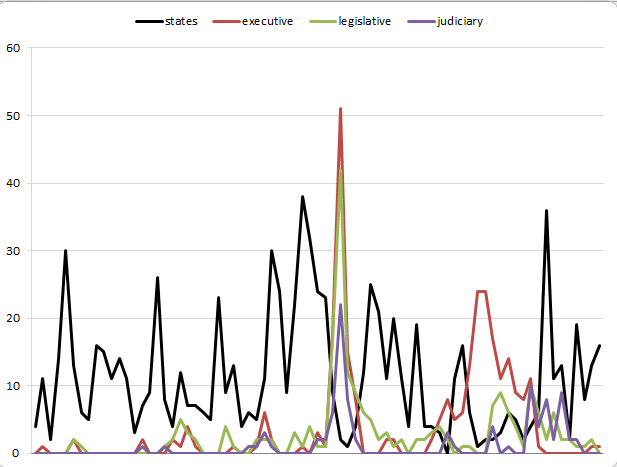 I didn’t do any cleaning of the data to combine legislative with legislature, and so forth. But the emphasis on states and state power is evident when you read the papers. Madison and Hamilton bent over backwards to make readers believe that states would not lose out to the newly proposed federal government. Below the cloud is another graph (sorry, it’s an excel graph) that looks for raw frequencies of four words across the whole corpus of 85 papers. States are mentioned throughout, while the federal branches are clustered in the papers where they get specific treatments by Madison and Hamilton.